Written by Ben Casey. Media by Emma Canady. Tuesday, Oct. 6th, Ariana Thomas and Mandy Pennington rocked Greenville College’s Blackroom Cafe with a set of songs. The duo showed their impressive presence on stage as they played originals and covers. Students, sipping on some of the Trifold Roasters’ coffee, listened as Mandy Pennington opened up the show. Pennington started on the ukulele, showing an ability to breathe life into the very simple instrument through her far-ranged vocals. A good portion of the crowd, myself included, couldn’t help but sing along with her rendition of “You and I” by Ingrid Michaelson. She transitioned to a piano, playing some heart-wrenching ballads with precision as the crowd soaked in the heavy emotions. Afterward, Pennington performed several songs that ranged from cute to woeful on the acoustic guitar. Pennington showed an ability to execute several different tones in her voice to give different songs different feels. Some of her songs were light and bubbly while others were dark and heavy. This ability to lend herself to different moods made her performance dynamic and memorable. Next, both artists came together to serenade the crowd at the same time. Thomas and Pennington’s duets were tasteful and gorgeous. Their voices melded incredibly well together and their harmonies were well-pitched. The highlight of the night was Pennington on guitar while she and Thomas sang. These songs reminded me of modern folk acts like The Head and The Heart or First Aid Kit. These two young and beautiful artists, although different in style, compliment each other very well on stage. Thomas closed the show, although Pennington stayed on stage to play the piano or guitar and add a few more harmonies. Thomas’ voice is without a doubt one of the strongest and most powerful voices I’ve heard. It lends her well to gospel music as well as pop, as presented by her performance. While I would like to see her do some songs with a little more groove in the future, she really pulled the audience into every sweet love ballad, every song of scorned love, and every fun pop tune without fail. It was obvious every song had a lot of emotion behind it. Thomas only sang, which allowed her to focus on complicated vocal riffs and the subtle qualities in her tone. The show was very entertaining, displaying the talent of Greenville students and giving a dull weekday night some flavor. Thomas and Pennington gave great performances, showing their talents in both music and stage presence. 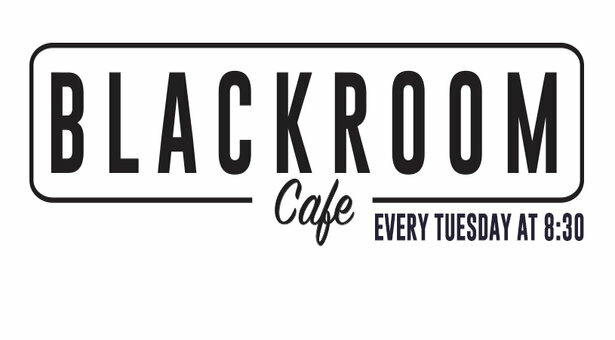 All in all, the Blackroom Cafe’s music nights are a success for the performers and listeners. Next articleCan I Read The Bible?